Notes: Believed to be a medieval hunting lodge dating from the reign of King William II. Stourton Castle was evidently 'the King's Houses' in Kinver during the reign of King Henry II. It was called a castle in 1122. By that time, the castle and the manor of Kinver and Stourton, together with the custody of the forest of Kinver were held by John son of Philip at a fee farm rent of 9. The king resumed possession of the manor in 1293 and granted it back to John (probably the other's grandson) for life. The king granted the keepership of the forest to Hugh Tyrel in 1339, adding the manor in 1340, but the property was in wardship from 1343 until the majority of another Hugh Tyrel in 1362. Following his death in 1381, the property passed to Richard Hampton. It passed down his family until the death of his great-grandson John Hampton in 1472. The castle and manor then passed to George, Duke of Clarence, who in 1475 gave it to Tewkesbury Abbey, who returned it to the crown in 1495. 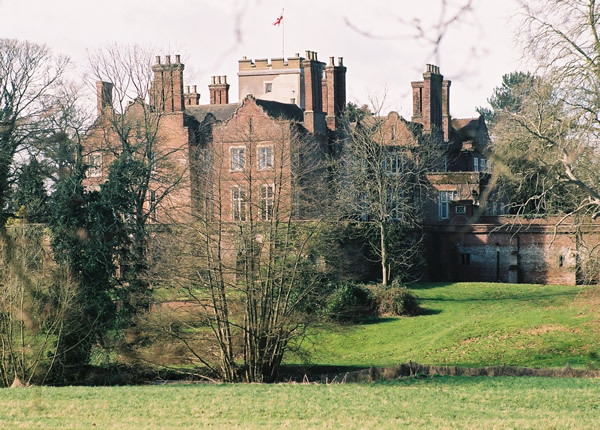 The Castle was the birthplace of Cardinal Pole, whose maternal grandfather Clarence, was the brother of both King Edward IV, and King Richard III. The castle and manor were granted by Henry VIII to his Attorney General, William Whorwood, whose family owned the manor of Compton, also in Kinver. The castle then became a home of that family until the late 1650s. The present house was presumably built by Thomas Whorwood when he became entitled to the whole of the manor in the 1580s. His grandson John Whorwood was probably neutral in the Civil War, but the castle was taken and briefly held by the brother of Colonel Tinker Fox in 1644, and later surrendered to Sir Gilbert Gerard, the Governor of Worcester after he routed Fox's relief column in an action on Stourbridge Heath. Wortley Whorwood (John's grandson) sold the manor and castle to Thomas Foley and his son Philip in 1672 and soon after it settled on Philip. The property belonged to his descendants until the estate was broken up in 1913, the Foleys never lived in the castle however, choosing to reside at nearby Prestwood. The castle was occupied as a farm house throughout the 18th century and from 1805 by T. W. Grazebrook, a local glass manufacturer. The house was remodelled and partially rebuilt in 1832-3 by Sir Robert Smirke for the industrialist James Foster. His nephew William Orme Foster lived there until 1868, when he sold the lease. Around 1890, Martha Steer (nee Nettlefold) took it on lease for herself, her daughter, Ethel Steer, and the Wymans with their family of young children. The castle was vacant from the death of George Arkle until the sale of the Prestwood estate in 1913. It was bought by Francis Grazebrook, a relative of the earlier tenant, and remained in the family until the death of his son O. F. Grazebrooke in 1974. The 19th century main front incorporates a late medieval gate tower.